Well, we had all kinds of weather this week. We had some very cold temperatures; we had four inches of snow; we had sun and warmth. Had enough snow for the kids to go sledding on the hill. I saw a flock of geese go over early in the week and another flock on Sunday afternoon. Guess they liked the warmer weather so stayed around longer. Last I heard, there is to be another warm-up during the week, which is fine with me. Just never know what the weather is going to do next. Got the following e-mail to share: Don and Irene (Kravitz) Risser spent a few days in town over the weekend. Visiting with them were their younger son, Aaron, and their granddaughter, Leah Elizabeth. Mary Kravetz joined them on Sunday to celebrate Aaron’s birthday. Other activities included cutting down Christmas trees, stopping by Cold Spring, having breakfast at the Jolly Trolley, and going to the Dushore Public Library. They also visited Annabelle Kravetz in Mildred one afternoon. A good time was had by all. Brian McGuire and Nina Weslowski spent the weekend in Allentown visiting her parents, Gerry and Paula Weslowski; her brother, Paul; and friend, Chris Jordan. Sympathy from the community to the family, relatives and friends of Heather (Abrams) McDonald on the recent passing of her father, George Duane Abrams, Sr.
Hoodies are still available, but going fast. S,M,L,XL,XXL in green or black, with the Lopez Ice Box of PA logo on the front, $25 each. Call the number below or 570-954-6319 if interested. Makes a nice gift and are toasty warm for this wintry weather. Get well to Kaeleigh and Kyleigh McDonald who are a little under the weather right now. Hope feel better soon, my little buddies. Happy Birthday wishes to Kaeleigh McDonald (10) and Lillie Ann Bahr (1), both on the 23rd; and Ginny Stavisky, 31st. Have a good day. Happy Anniversary to Anthony and Bethany Sneidar as they celebrate 2 years on the 23rd; Ted and Evelyn Hubiak, 29th. Congratulations and many more. HINT: “Good for sore throat: Mix into a cup of hot water — 2 TBSP honey, 2 TBSP vinegar, dash of cinnamon, 2 TBSP lemon juice and mix well. Drink this; they say it works every time.” Good for this time of year. I did hear from my sister that the Vicks on the feet does work. She had a terrible cold and cough and tried it; said it helped. Her daughter also puts it on her son’s toes and he likes it; says it helps. From Mr. Neubauer’s little brown book: December 17, 1973 — 10 inches of heavy snow, cold and 10 degrees. I’ll take our weather for the 17th, 2017 — cloudy, not so windy, no snow and 32 degrees. 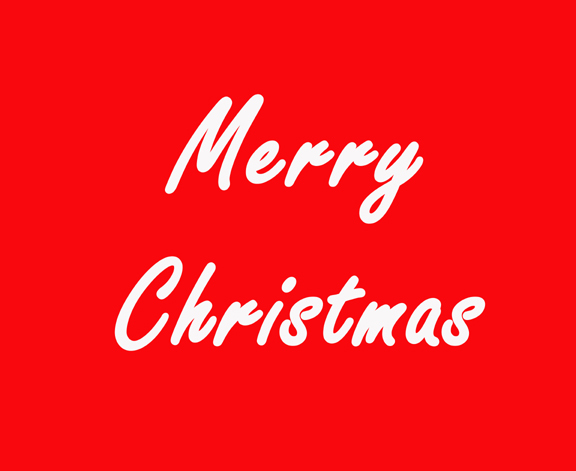 Since this is the last issue of the Sully for 2017, I’d like to wish my family and my many friends a very Merry Christmas and Happy, Healthy New Year. Also, to the Sullivan Review staff. So, I guess that’s it for now. Enjoy the Holidays and I’ll be here next year. Thanks for reading and sending the hints. Keep them coming. 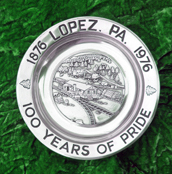 If you have news, you can still call me at 570-928-9238; mail me; see me or e-mail me at news@lopezpa.com. I’ll keep it until the New Year.